Nan A. Talese, 9780385535861, 288pp. A gripping suspense story about a woman who returns to Galveston, Texas after a personal tragedy and is irresistibly drawn into the insular world she’s struggled to leave. Steeped in the rich local history of Galveston, The Drowning House portrays two families, inextricably linked by tragedy and time. Elizabeth Black was born and raised in Providence, Rhode Island and now lives in Houston, Texas. 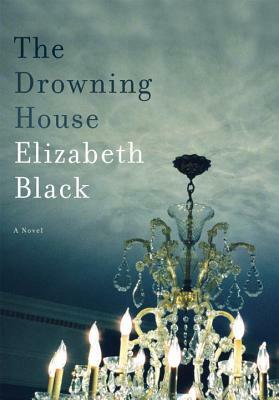 "The Drowning House" is her first novel. The Drowning House opens with two quotes, one from The Dallas Times Herald in 1966 and the other from famed American photographer Walker Evans. How do these quotes set the stage for what transpires in the novel? Why do you think the author chose them? In Chapter Thirty, Clare states, “I had always believed that because I viewed the world through the lens of my camera, because I looked at things in ways others didn’t, I saw more. Now I understood that I failed to perceive what other(s)…registered at once.” What did you make of this realization on Clare’s part? Is photography a way for her to remain detached from her life? Talk about Clare and some of the other main characters. What were your impressions of her, or Eleanor, or Will? Did your feelings about these characters change over the course of the novel? Grief and the different ways in which people deal with grief, is a major thread that runs throughout the novel. What insights did you gain from the novel about this complicated process? Consider the book’s setting of Galveston, Texas, and the author’s description of life on the island. How important is the setting of Galveston to what happens in the book? Why do you think Clare held onto her memories of Patrick so tightly? What fueled her desire to connect with him once more? Consider the legend of Stella Carraday and the truth about her life. Are there parallels to be drawn between Stella and any of the book’s modern-day characters? If so, how do they enhance the reading experience? Along the lines of the above question, what are the differences between history and legend? Does a little bit of history always exist in a legend, or vice-versa? Did you know much about the Galveston Storm of 1900 before reading The Drowning House? Why do you think the author chose this event as a backdrop for her story? Almost every character in the book has a secret. Talk about the role secrets and secrecy play in The Drowning House.